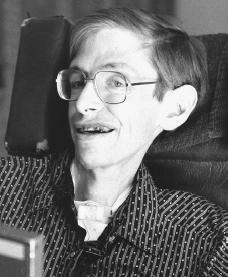 We know that Stephen Hawking is one of the greatest scientists of our time. He suffers from a form of paralysis that confines him to a wheelchair and allows him to 'speak' only by punching buttons on a computer, which speaks for him in a machine-like voice. In this biography i meet a extraordinary man. really greatest scientist,mindblowing man, this was really intresting..
Stephen Hawking is really an exceptional scientist in our generation. He still trying to solve the mistery of our universe inspite of his physical disabilities. Stephen Hawking is not my inspiration only rather his thought, contribution in space science and biswas strength for survive in life , influenced me deeply.